Buying plane tickets is the first step in travel, and often, the most difficult. Buying plane tickets is truly an art—finding the best deal and the best seat certainly requires know how. Jason Hartman has traveled enough to know that a good seat can make or break your travel experience. Below, you’ll find a guide to help you buy the best plane tickets and select the best seat for your needs. 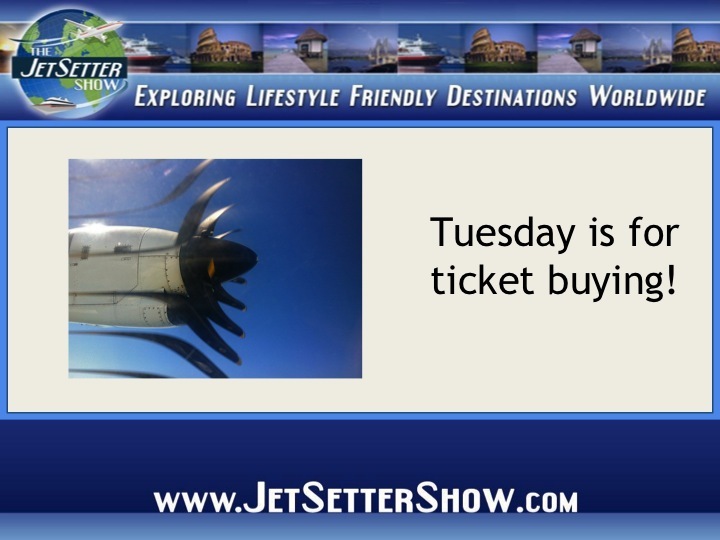 There are a variety of rumors surrounding the ticket purchase debate, but the absolute cheapest day to fly seems to be Wednesday. If that doesn’t work, Tuesday and Saturday closely follow Wednesday in price. Of course, these rules apply only to domestic flights—international flights don’t seem to follow a set pattern. The best day to buy tickets is Tuesday, 3 pm Eastern time. Purchasing tickets on the weekend probably means you’re paying too much, depending on the airline. If you’ve got some time to spare, remember that you can usually find good deals a few times a year, or in the off season of your travel destination. Airlines (like Southwest) offer highly discounted fares if you can catch them during a sale. A Google search will reveal these offers—message boards are often useful in nailing them down. If you can afford it, first class is always going to offer a better experience. Otherwise, consider springing for another seat that offers a few amenities, like extra legroom. If you’re just looking to pay the normal amount, there are a few things you can do to get a better seat. First, buy early. This will ensure you’ve got a lower zone number on airlines with unassigned seats. For airlines with assigned seating, you’ll have more seats to choose from. Seats near the front of the plane are most desirable if you’ve got a tight connection or want to otherwise exit the plane quickly. If you get airsick, sitting above the wing will be best—your seat will be stable and you’ll experience less turbulence overall. Tags: flying tips, how to buy plane tickets, Jason Hartman, The Jetsetter Show, travel secrets, where is the best seat on the airplane?